The Gorilla 1922 What an adorable smile ! 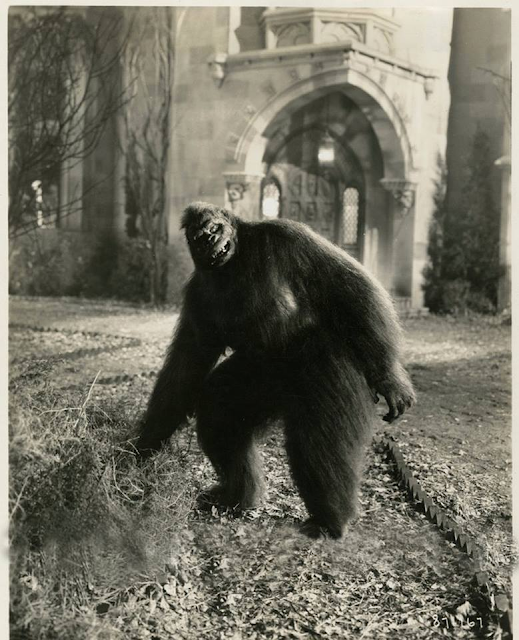 The gorilla is a time honored classic of the " Old Dark House" tradition. 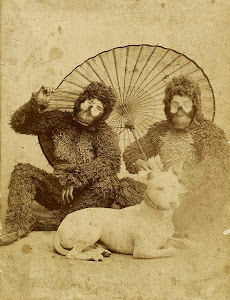 the mirthful Charles Murray and Fred Kelsey as bumbling detectives Garrity and Mulligan. 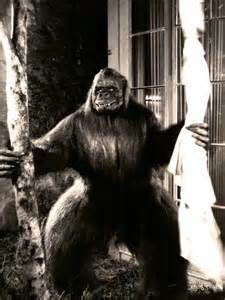 The murderer in question goes by the nick name " The Gorilla" though he is quite human. 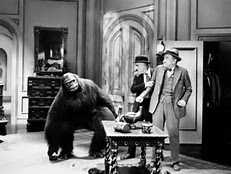 To further complicate a confusing who dunnit with sliding panels, and secret passages, a real gorilla shows up in the mix ! 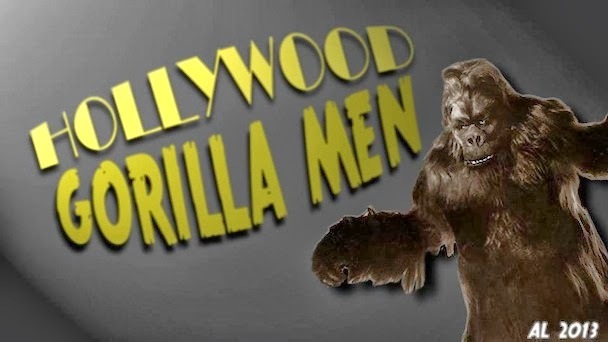 If your a fan of half wit , hard boiled slapstick humor, then you're sure to love the Gorilla ! 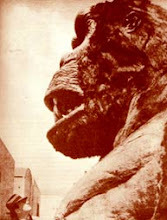 Oh....The gorilla you ask? Well, it's a damned fine looking suit for the period, as it should be....Charles Gemora created the suit! 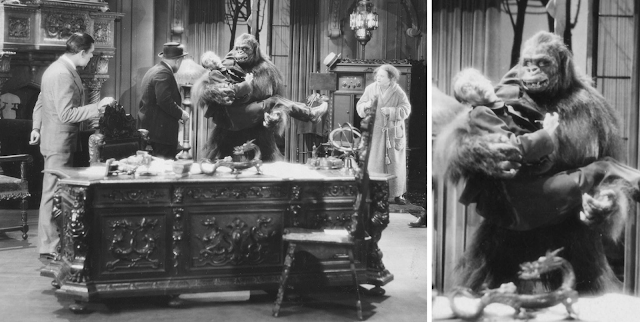 Though a MUCH larger actor played the gorilla rather than Charlie. Enjoy these beautiful stills contributed by the members of Ape Suit Cinema on Facebook. If your on Facebook, look us up ! 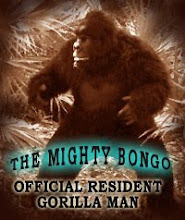 Tell 'em Bongo sent you! That's a face only a mother could love !